Jason Briefel is the Executive Director of the Senior Executives Association (SEA), overseeing day-to-day operations of the Association and leading execution of the priorities and policies of the Board of Directors, a role held since September 2016. He also leads strategic engagement efforts with members of SEA’s Corporate Advisory Council and other organizations. Mr. Briefel served as SEA Interim President from February-September 2016. Additionally, Mr. Briefel serves as SEA’s Legislative Director, representing SEA and its members on Capitol Hill and with the Administration. He represents SEA with the Federal-Postal Coalition and the Government Managers Coalition, and is a Director on the Board of the Federal Employees Education and Assistance Fund (FEEA). 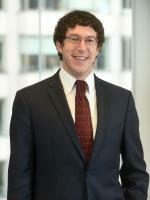 Mr. Briefel joined Shaw Bransford & Roth, P.C. in 2012 to work in the firm's government affairs department, providing legislative and organizational representation to clients of the firm's government affairs practice. In addition, Mr. Briefel is a regular host of FEDtalk on Federal News Radio and Editor of the FEDmanager and FEDagent e-report newsletters. Prior to joining SB&R, Mr. Briefel worked in Congress for a member of the North Carolina delegation and interned with the DC-based think tank Third Way. He also served as a research assistant and project manager for the FireChasers, a collaborative research endeavour between the U.S. Forest Service and North Carolina State University.